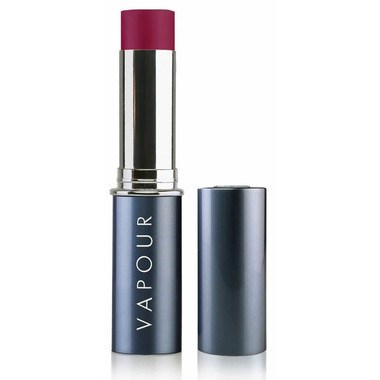 -Vapour Organic Beauty's modern, multi-tasking blush pulls together any look with speed and style. 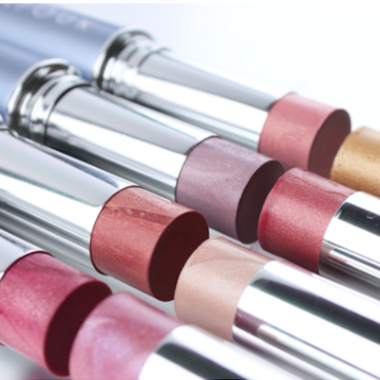 All it takes is a dot to cheeks, lids, lips and chin, and you’ve mastered monochromatic elegance. Let go of convention with all-natural, non-toxic, cruelty-free Aura Multi Use in Classic, Radiant or Stain finishes. Aura Stains bring a bold wash of colour, going from sweet to seductive in a few stokes! Organic Nelumbo Nucifera (Lotus) Leaf Extract, Pogostemon Cablin Oil, Tocopherol (Non GMO Vitamin E – Soy), [+/–: Titanium Dioxide (CI 77891), Iron Oxides (CI 77491, 77492, 77499), Carmine (CI 75470)], *Eco–Cert. I am Robert's wife. I use this product daily. Whether it's a light touch for casual or adding a little more sparkle with the Halo moonlight around the eyes, I find that it adds a glow to my complexion that lasts all day and gives me a natural look. Love it! Perfect for the no makeup makeup look. Just a dab blended in gives you naturally flushed cheeks, and youthful natural colour to your lips, and it lasts all day without fading away. You can also apply more product to easily make the colour darker, for evening or if that's what you prefer. I will definitely be purchasing this product again.